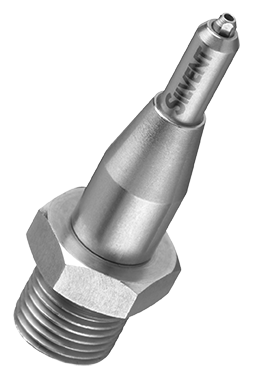 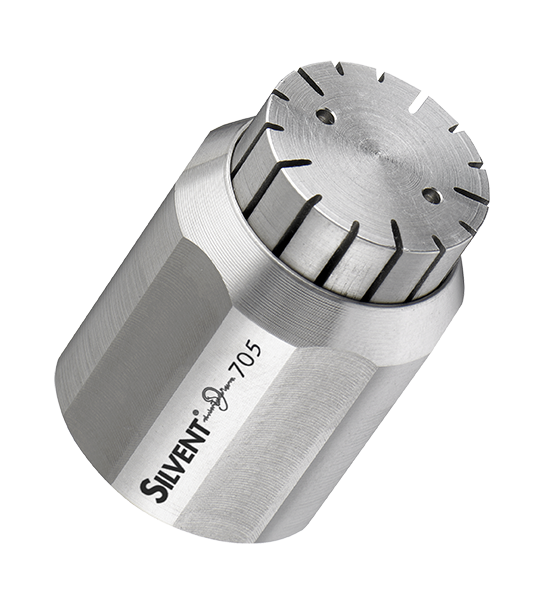 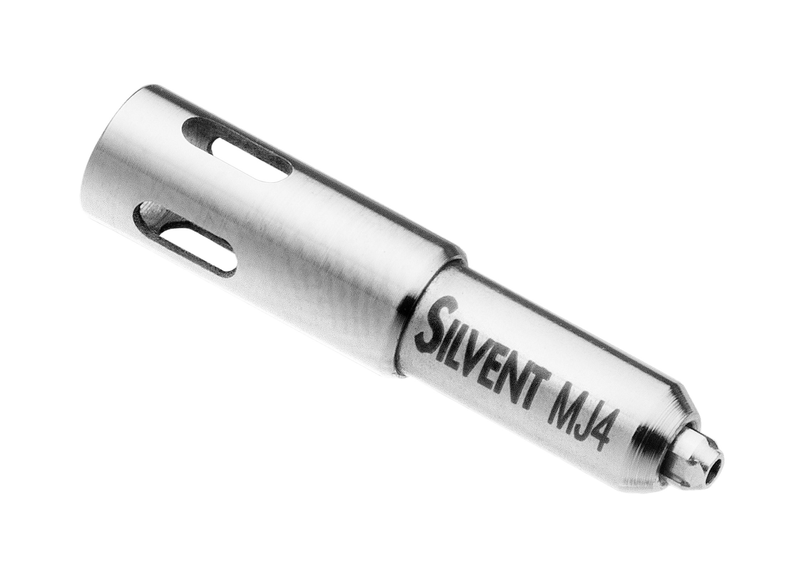 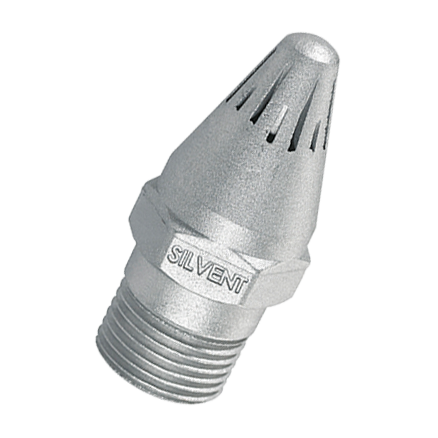 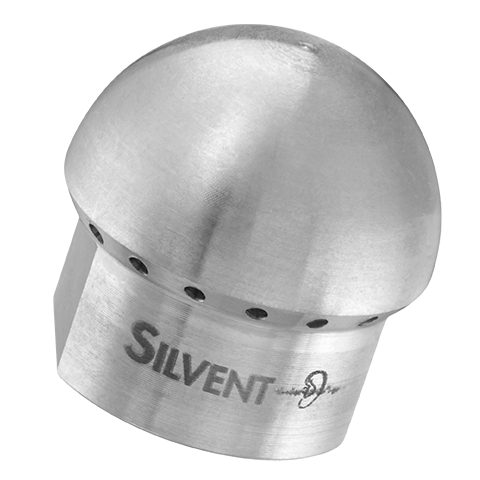 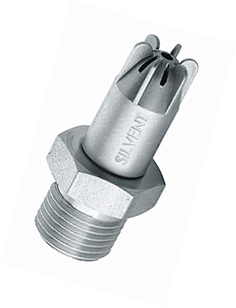 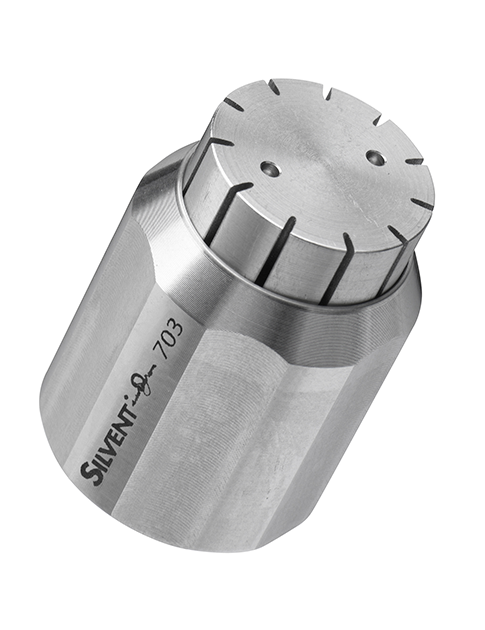 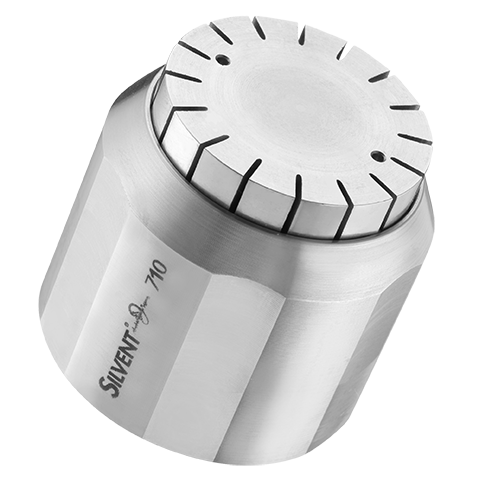 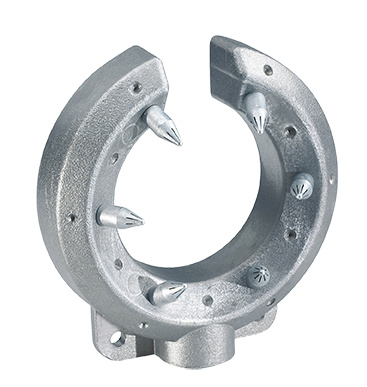 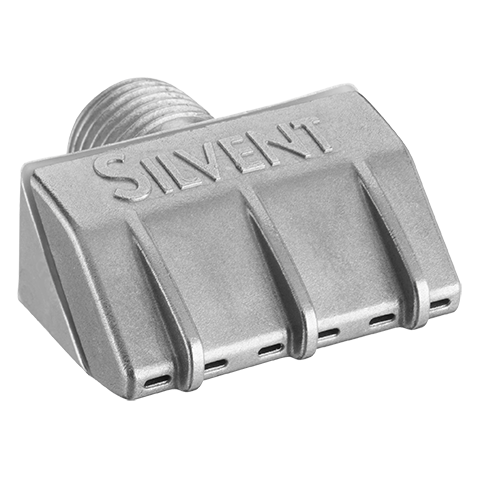 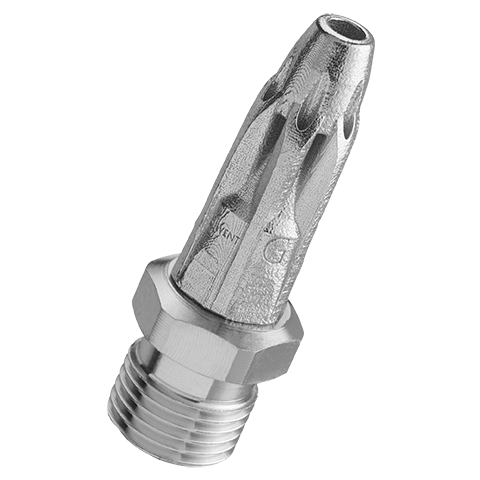 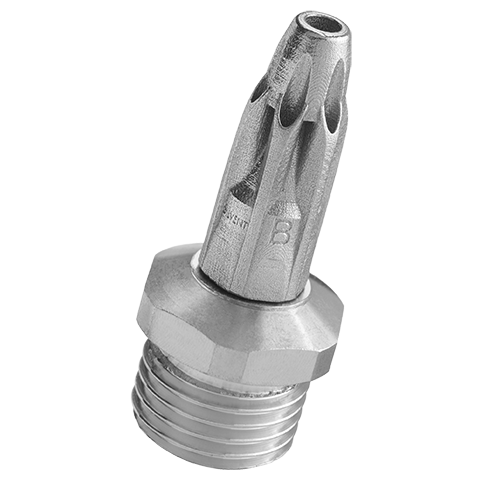 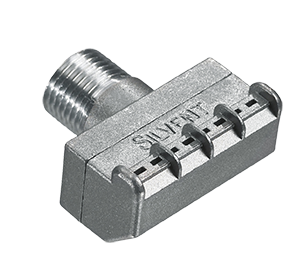 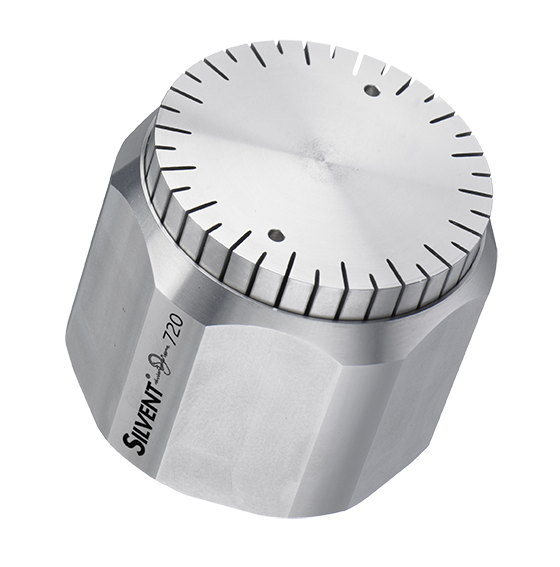 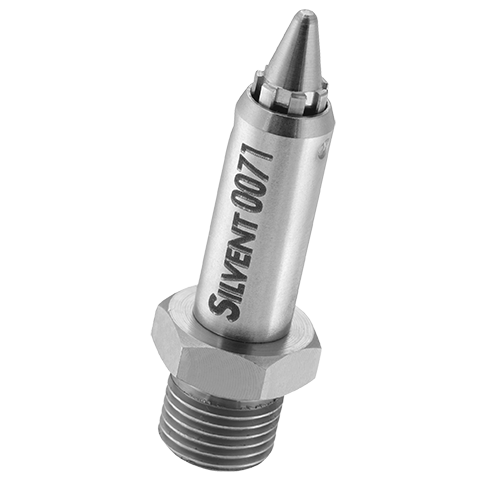 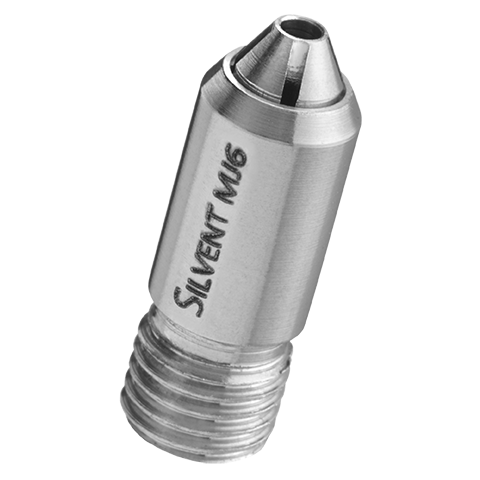 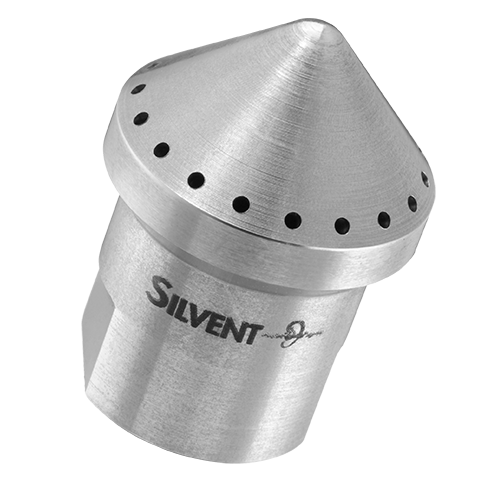 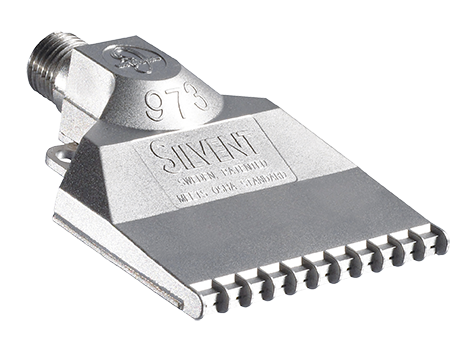 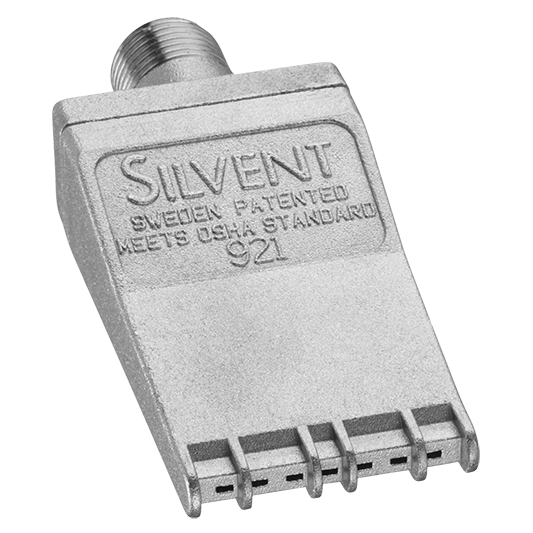 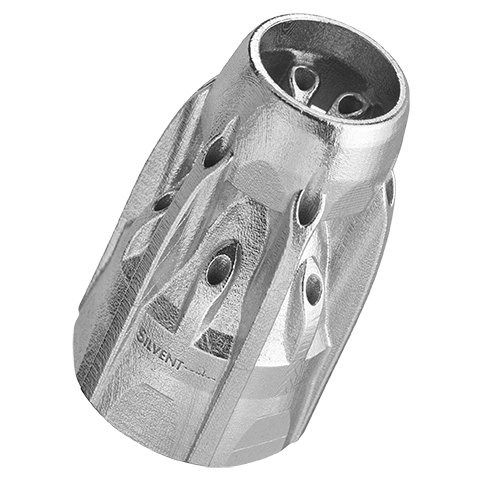 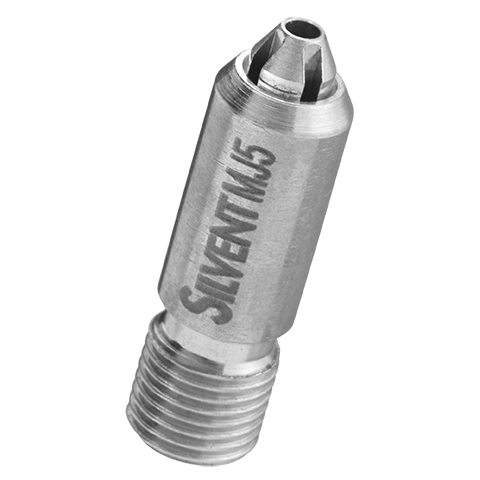 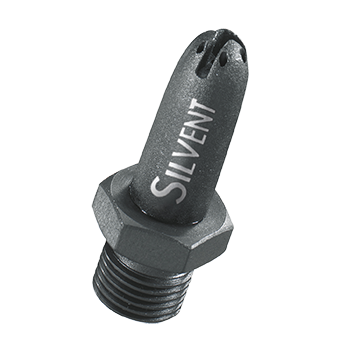 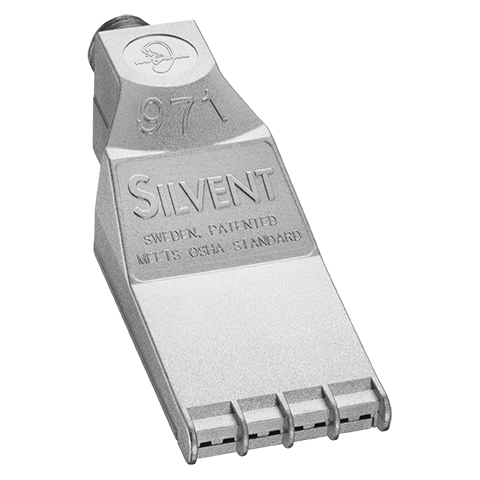 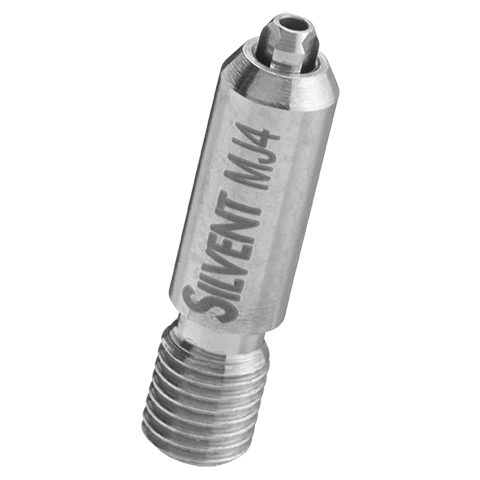 SILVENT MJ4: micro-nozzle of stainless steel with central hole surrounded by slots. 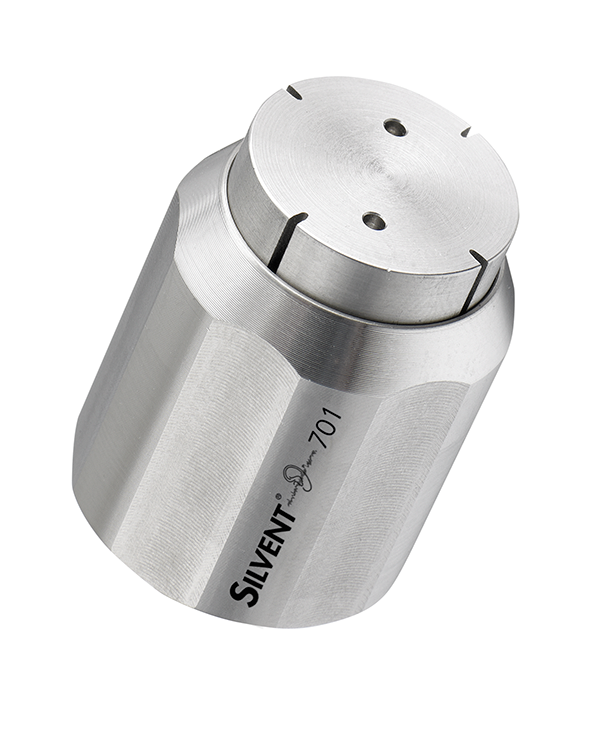 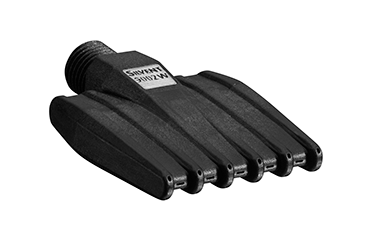 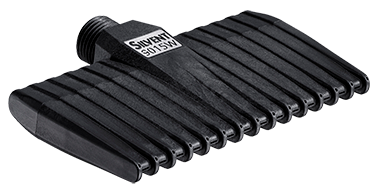 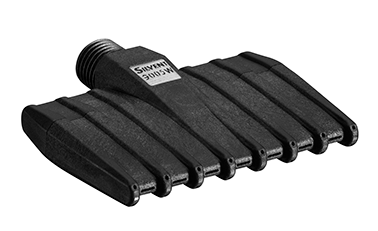 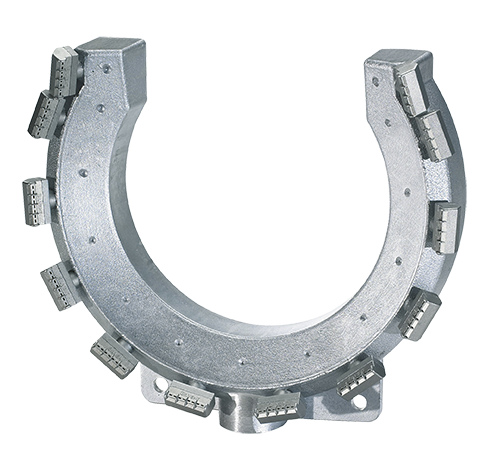 Generates a concentrated air stream while limiting both sound level and air consumption to a minimum. 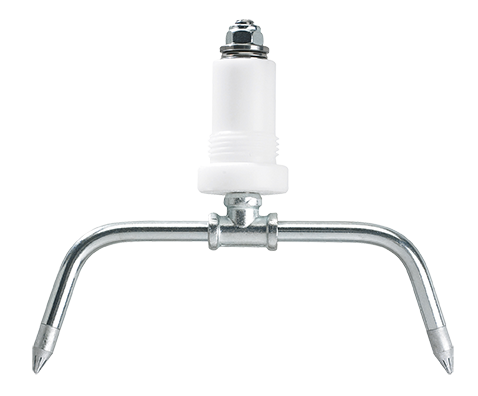 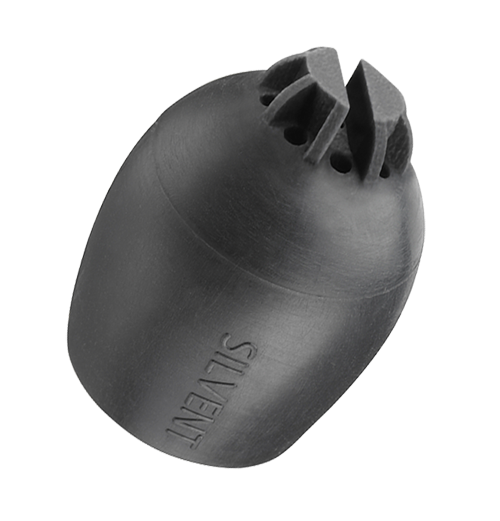 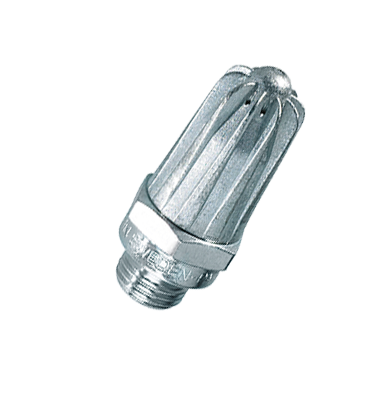 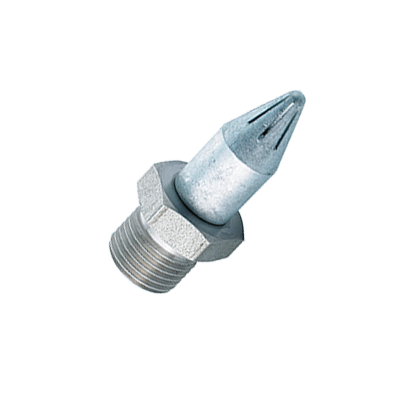 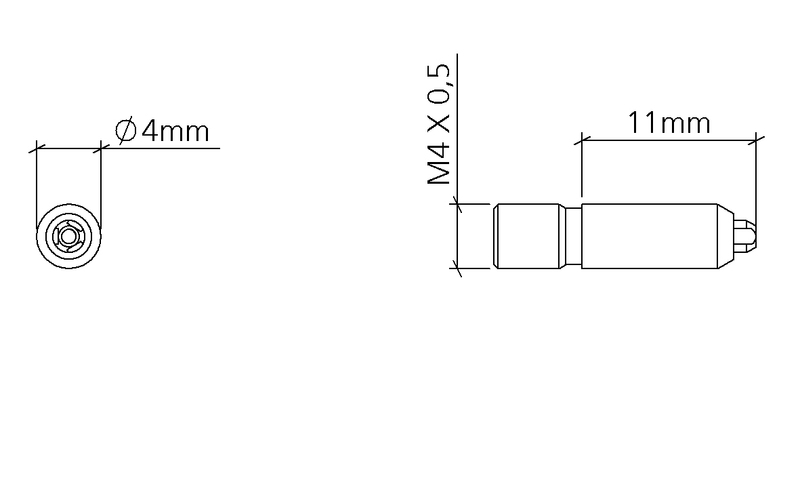 Small dimensions make this nozzle suitable for incorporation into most machine designs. 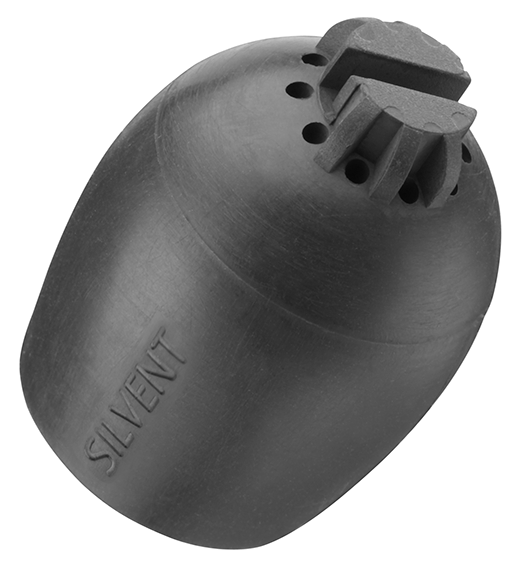 Meets EU Machine Directive stipulations on airborne noise in machines.